The ideals of Minimalism sought to eliminate traces of artistic emotion and intuition to the least possible degree, and brought about a considerable reactions from the subsequent generation. While inheriting inorganic shapes such as cubes and spheres, these successors sought to retrieve rich, powerful potentialities of the medium of sculpture, through the use of physically tactile materials, appeals in color, profound narratives, and heat of the primordial—all of which conceive characteristics of their works. The exhibition features four representing artists who translate such post-minimalist influences. 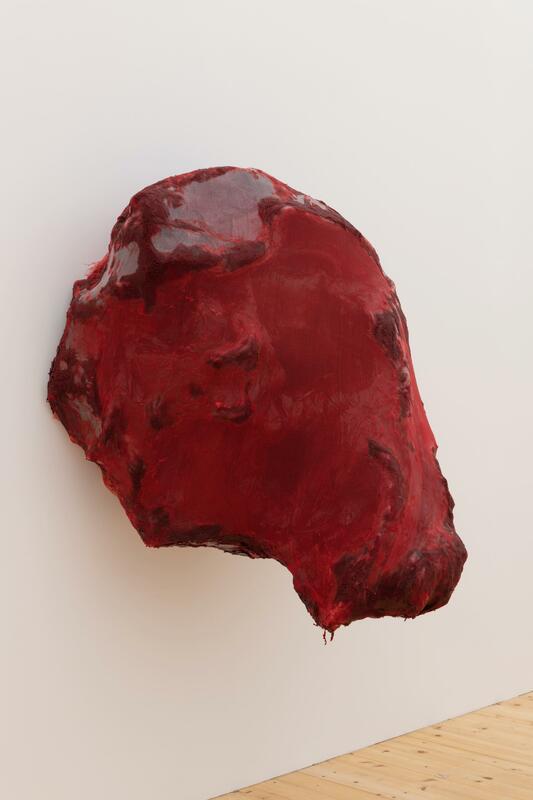 Evoking deep spirituality through deceptively simple forms, the work of Anish Kapoor (born 1954, Mumbai) places Minimalism at the service of mythology. Skilfully deploying opposite binaries—presence and absence, concaving and projecting, hiding and revealing, it imagines the human origin as far back as the mother's womb. The gigantic dish-shaped piece, considered one of his masterpieces, Untitled (2018) is coated in deep crimson color, and stands serenely as if in meditative focus, seemingly able to swallow surrounding light and sound. Opposite to this flushed surface is a silicone sculpture akin to a gauze-covered mass of meat. The fat-white color mixes with the volume and luster of the red-black material, and represents painterly gradience of color. This gruesome portrayal of human anatomy encased in a white veil infuses philosophical thoughts of mortality and sensuality into the artist’s work. Known for proclaiming the "restoration of narrative" in art, Toshikatsu Endo (born 1950) is one of the key figures who critically reworks the legacies of Mono-ha and Minimalism. The act of sculpting and burning wood—arranged in a shape of a ring, a cylinder, and a coffin-like rectangle—evokes symbolism from communal rituals and primordial impulses. Primary elements such as water and fire symbolize notions of the “void” that appear at the center of human emotions. For Endo, the “void” does not denote a state of nothingness, but signifies a place with an attraction and magical charm that draws all things into it, and a limitless source of metaphysical imagination. Two artists of the younger generation will also participate in this exhibition. In respect of Arte Povera, which is itself a rejection of industrial shapes and forms of minimalist sculpture, Vajiko Chachkhiani (born 1985, Tbilisi) quietly discusses social events and trauma from the native land through modest interventions and found objects. Daisuke Ohba (born 1981) regards a rectangular canvas as a site for dialogue, and carefully manoeuvres rebuilding stories while persisting with a self-imposed painting methodology. The exhibition gathers these varying perspectives from multicultural backgrounds and generational phases, and composes silent stories of colors and forms that seek to wrest profound thoughts in their visual worlds.